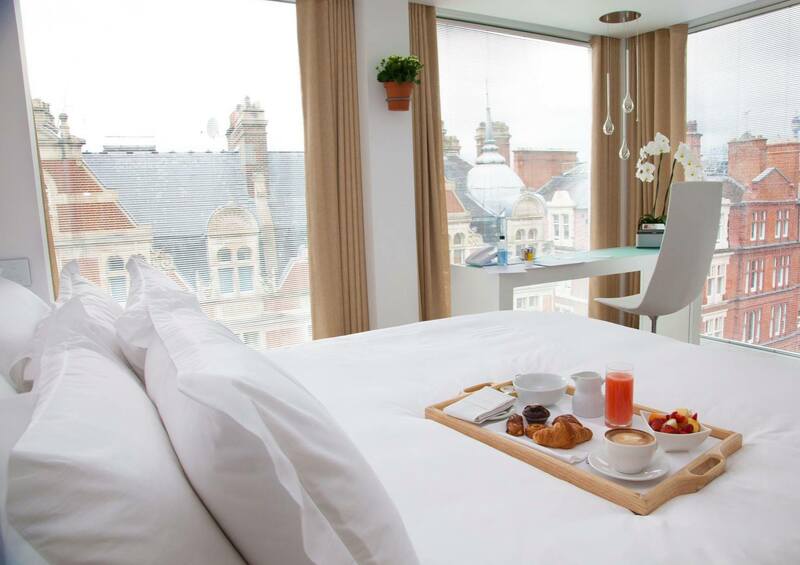 Not too many cities in the world can match London when it comes to luxury hotel accommodations. As an historic place, a popular tourist destination, and a hub for international business and travel, the city has built up a reputation for excellent hospitality. This is exemplified frankly by dozens of different hotels in and around the city. Some stand out in particular though, because of a combination of facilities, amenities, and location. If you’re hoping to spend some time in London and feel like royalty (or at least a high roller) while you do it, look no further than these establishments. You can’t do much better than a quintessentially London hotel that’s been around since the 1860s and still represents the height of luxury. 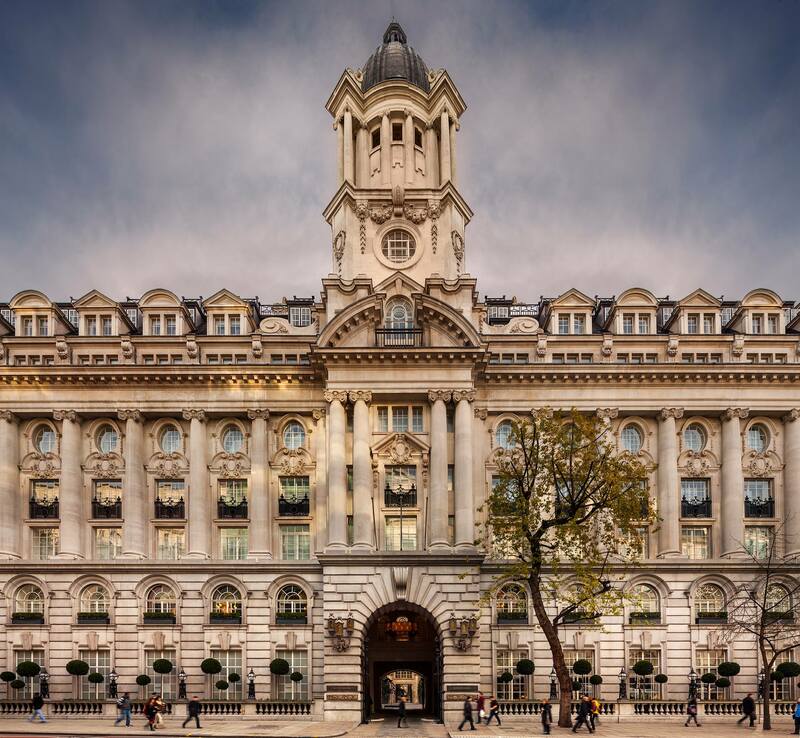 Located a lengthy walk south of Regent’s Park and not too far from the Mayfair area of the city, The Langham isn’t particularly close to any of the city’s most noteworthy attractions. However, it’s not as if it’s far away from anything either, and more than any other hotel here it’s an attraction unto itself. Elegant rooms, a Chinese spa, and a restaurant run by Michelin-starred chefs make it so nice you almost wouldn’t want to step outside anyway. 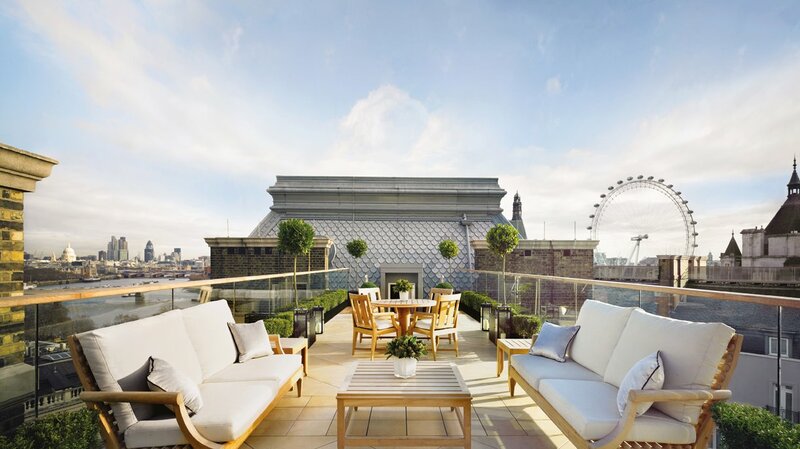 The Corinthia Hotel is a delight, not only because of its own facilities – five-star, with a four-floor spa and recognized as some of the best in town – but because of its location and access to city highlights. The Houses of Parliament, Big Ben, and Trafalgar Square are all within walking distance, and the hotel is also located almost immediately across the Thames from the London Eye, which has become one of the most famous attractions in the city. Some think of it as being somewhat too touristy, but some champagne on the Eye is frankly one of the most beautiful and romantic experiences you can have in town. 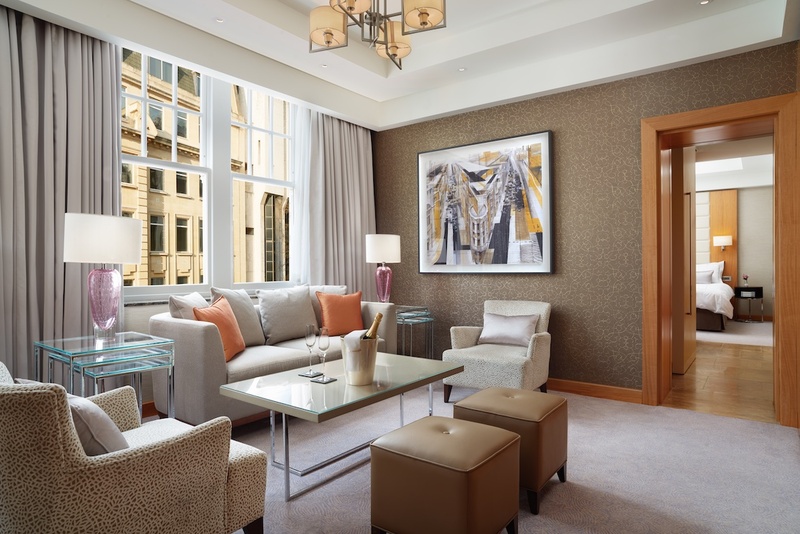 Couple it with a stay at the Corinthia Hotel, and you’re set up for a high-class experience in London. 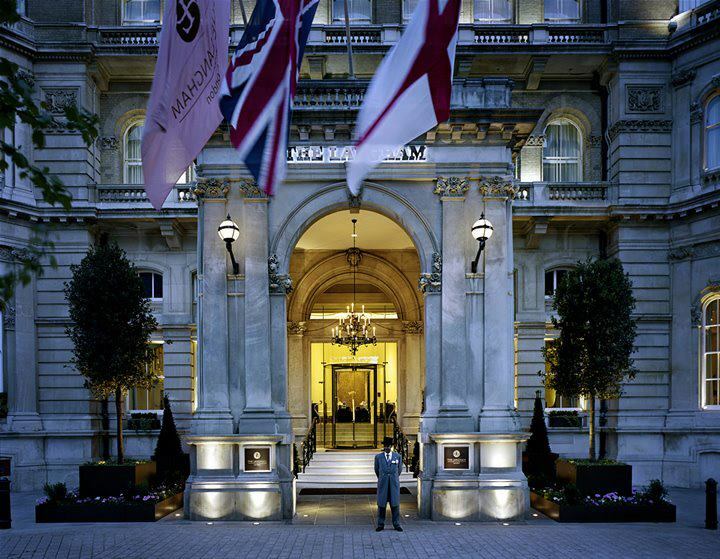 The Rosewood is recognised by many as the best hotel in London. It’s built like a palace for visitors, and embraces the aesthetics and history of the surrounding Holborn neighbourhood. Five-star amenities across the board make a stay at the hotel an utter delight, and the location – while not right in the centre of bustling activity – provides easy access to several city attractions. In particular. the West End theatre district and the British Museum are quite close, such that one can walk from the Rosewood on a nice day. If you truly want to feel like royalty while in London, this is the place to go – though you’ll pay a hefty price for it. This is a different sort of hotel, more focused on providing a unique experience than just a refined one. Its rooms are sleek and modern, its exterior well-lit but almost quirky. The hotel houses unusual attractions, such as experiences based on the Narnia fantasies by British author C.S. Lewis. It’s still a five-star hotel though, and its style suits the surrounding Leicester Square area, which is something of a commercial centre. It’s a fun area to explore, and even a place where visitors can embrace the unexpectedly thrilling casino culture. The UK is currently leading the way in producing online casino activity, which has roped in mobile gaming as well. Many prefer digital games nowadays. At Leicester Square though, and within walking distance of this hotel, you can find two world-class establishments in the Hippodrome and Empire casinos. St. James’s Park is one of the loveliest places in all of London to explore. It’s the oldest of the Royal Parks of London, and though it lacks some of the specific attractions of its counterparts (like Kensington Palace at Hyde Park), it’s the best of the bunch for simple exploration. It’s no wonder then that one of the nicest hotels in London was built within walking distance. The Conrad London St. James blends in somewhat with its surroundings, compared to some of the other hotels here, but once you’re inside you recognise world-class quality. Its rooms feel almost like master bedrooms in city mansions rather than public accommodations, and facilities within like the Blue Boar Bar are among the hidden gems of London.